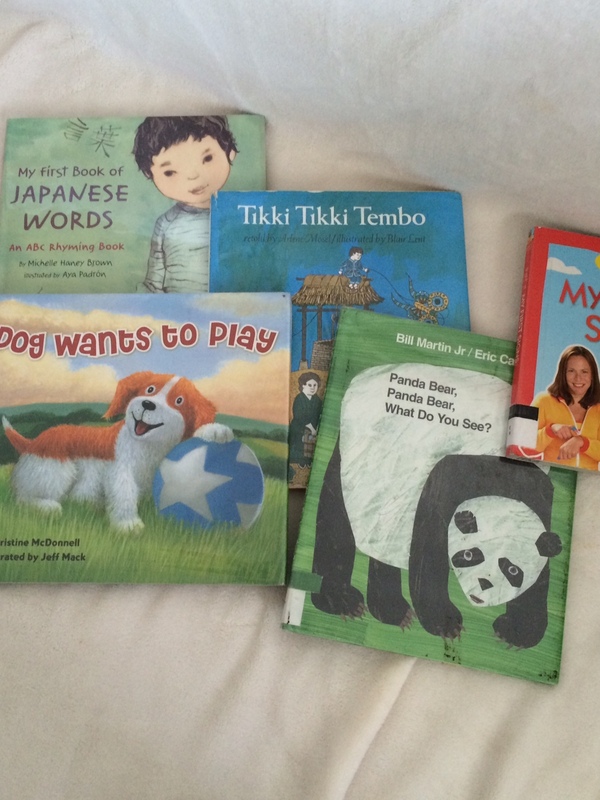 We went to our public library on Saturday, and we picked up a few books. This was the first time I brought my daughter to the library. I was a total bookworm growing up, and some of my fondest memories are of going to the library and picking out some books to read at home. Anyway, my daughter recently learned how to walk, so I decided it would be a good place for her to safely practice walking while I picked out some books to read to her. On a side note, if you haven’t taken your little reader to the library this week, I challenge you to do so! Your public library is the greatest free resource there is for books for readers of all ages. I actually picked this one up because I remember hearing it during a library session in elementary school. Reading it as an adult now, I’m surprised at how much of the story I remember. However, in a time when accurate cultural portrayals are more important than ever, some might find this story offensive. I’m an Asian American who grew up fascinated by Chinese and Japanese culture, and it’s pretty clear to me NOW that this book has stereotypical overtones and depictions. It’s a retelling of a “Chinese” folktale (not really), but the illustrations lean Japanese, and the pictures are often grossly inaccurate – one of the boys is shown to be bowing backward to his mother. While these things may seem harmless, as I said, they can be deemed offensive. The story can be fun to read, but if it’s entertainment at the expense of cultural sensitivity and understanding, is it worth it? Probably not. Verdict: Proceed with caution. Personally, I’m not going to be adding this to my child’s library. If you’re interested in teaching your child how to sign, this is a great starter book. This book contains 18 basic, easy-to-learn signs complete with pictures of how to do the sign as well as a pictorial representation for the word. There are more books in this series, and I’ll definitely check them out. Verdict: Good sign language learning tool. Brought to you by the same duo that did the well-known and beloved Brown Bear, Brown Bear, What Do You See, Panda Bear, Panda Bear, What Do You See follows the same concept. This one is exceptional in that it introduces wild/endangered animals, and rather than focusing on colors, focuses on different verbs (action words). For example, “I see a water buffalo charging by me” (4). As an English teacher, I appreciate the verbs chosen by the author! As expected of Eric Carle (The Very Hungry Caterpillar), the illustrations are simple, powerful, high-contrast depictions of the animals mentioned in the book. Verdict: Love it! Great companion piece to Brown Bear. I picked up this simple tale of a dog who struggles to find a playmate because, well, I have a dog. She is my furkid, and my daughter absolutely adores her. This simple story has quite a few sight words that kids need to know by kindergarten, and the story is simple and slightly repetitive. The text is pretty large, and the illustrations are fantastic. My daughter kept going back to this book more than any of the others we picked up. On a side note, as an adult, the story made me want to show my dog a little more love. If you’re a dog lover, this little story might tug at your heartstrings a bit. Verdict: Great simple story, gorgeous illustrations. Adding this one to our library. I took Japanese language classes in high school and college. I even did a summer abroad in Japan to do language study. Through those experiences, I know learning a new language is all about exposure, repetition, and practice, practice, practice. I would like my daughter to learn two languages in addition to English. Research shows learning different languages has cognitive benefits. As a student of the Japanese language myself, I liked this book. The book uses English, romanji, kanji, katakana and hiragana – the different types of Japanese writing – so points for exposure. The illustrations good, but sometimes the illustrated concept gets lost in the bigger picture. I understand it’s for context, but still. Verdict: Possibly a helpful language learning tool.